English pear-shape teapot by Birch and Villers. These Birmingham pewterers worked in the 1770s and primarily in the American export trade. 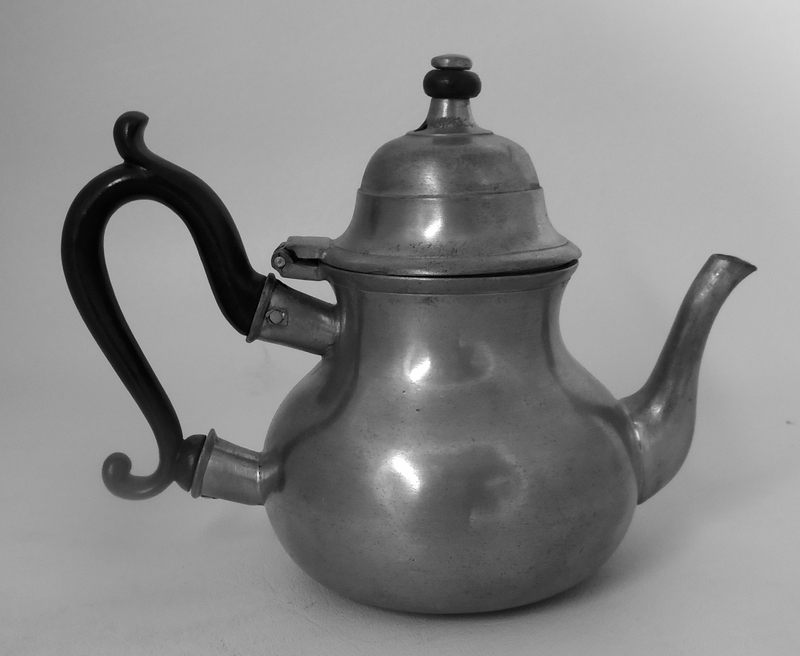 This 6-inch teapot is a fine example of their work.